What exactly constitutes cool is difficult to put into words, so we've decided to let these custom designs say it for us on cool bed and throw blankets. 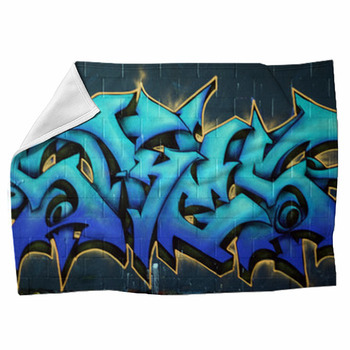 In the popular vernacular since the Sixties, cool expresses some elusive combination of pleasing, different, and fascinating, all good words to describe these cool woven and fleece blankets. 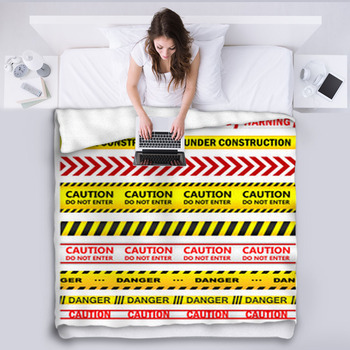 Leaving an important element of your personality in view, these cool custom blankets offer the range of choice that this variable quality demands. How cool is that? 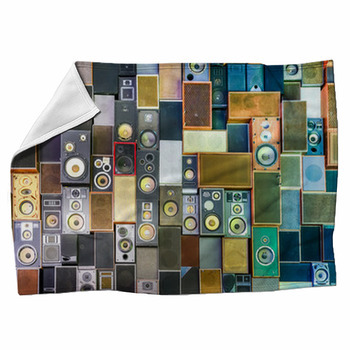 This collection of custom cool blankets runs the gamut from word collages that connect you with contemporary social networking to jade plasma oozing across your bed. 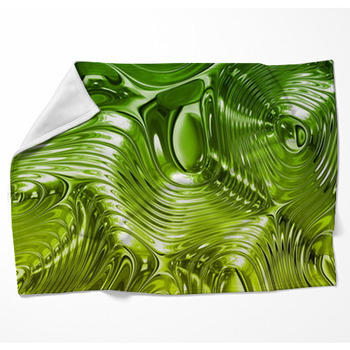 Cubes tumble and spin like colorful ice to bring another dimension to cool throw blankets. 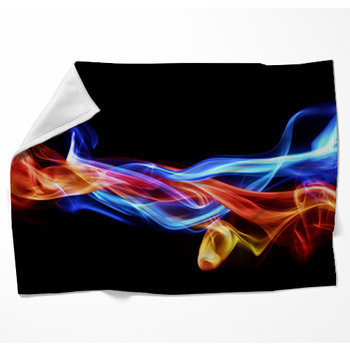 Thin bands of warm color loop and swirl on cool fleece bed blankets. Black and white crash through red for an op art effect and dance like raindrops refracting light for cool blankets. Color, deep and pastel, streams upward on the wings of butterflies and bobs like festive ornaments in a disco on energetic, lively, different, simply cool bed and throw blankets. 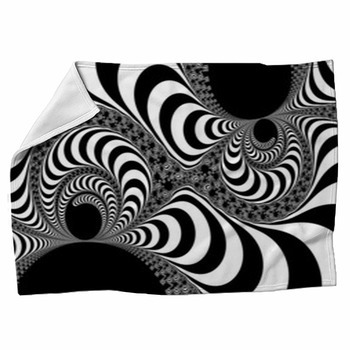 These cool custom designs bring you circles and wriggling tubes of color overlapping and intersecting, creating patterns within patterns, for bright, interesting, cool woven blankets. They offer bold imagery alongside light, airy, whimsical compositions, letting you find a cool custom blanket that exactly fits your idea of what that means. Whether its for your bed or a picnic spread, a cool blanket says something about who you are. 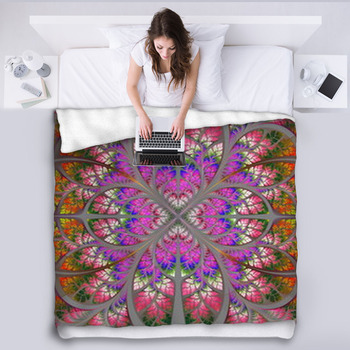 It opens up a facet of your personality and lets your own appreciation of life's interesting things show up on a cool bed or throw blanket. Custom designed and absolutely unique, these cool fleece and woven blankets along with its matching pillows bring a little of you to your decor, and we think that's pretty cool.